My name is Auggie. 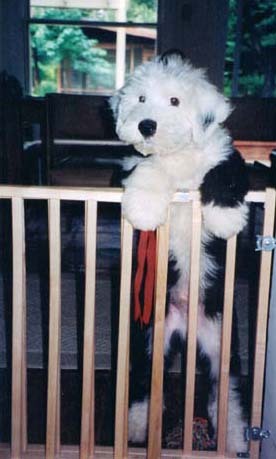 I am an Old English Sheepdog. My birthday is March 1, 2002. This year I turned one year old. My doggie family consists of my mom, dad and eleven brothers and sisters. My people family consists of a mom, dad and three brothers. San Diego is where I was born, but I now live in Northern California with my people family whom love me very much and who I love soooooooo much.